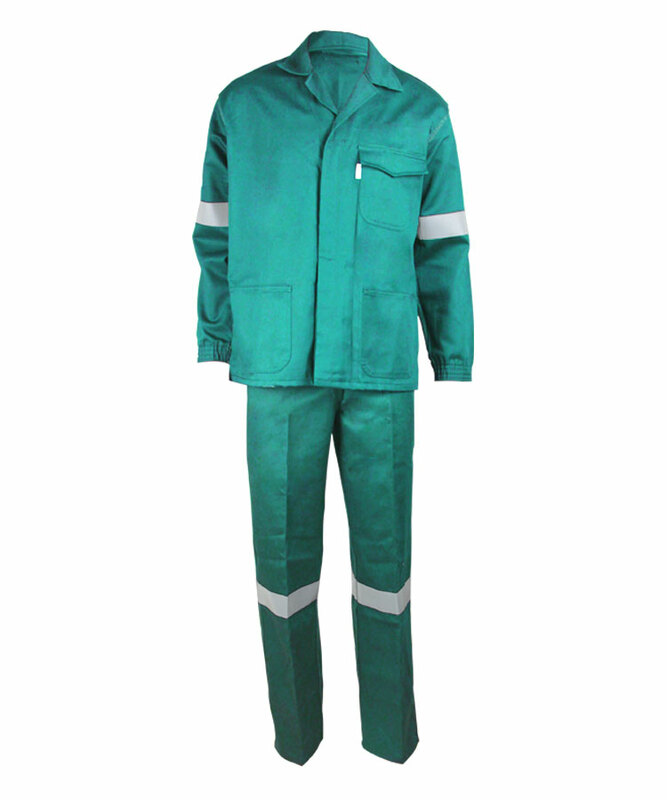 This fluorescent orange two piece coveralls made of 230gsm fluorescent orange fabric, and can meet EN ISO 20471 and other standards. 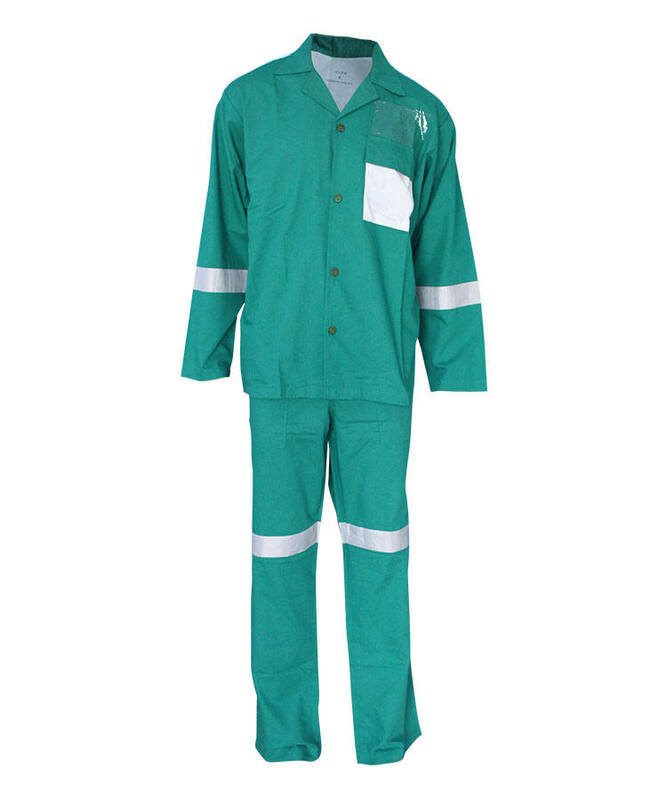 The fluorescent orange two piece coveralls can make the wearer be identified more easier than the surrounding things in poor light and short distance, thus to ensure the safety of the wearer. 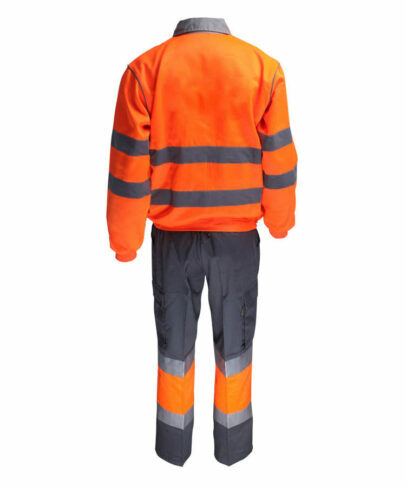 Now available in high visibility yellow and high visibility orange color that meet the requirements of ISO 20471 standard, meanwhile, now we are researching high visibility red color that can comply with EN20471 standard after xenon lamp. 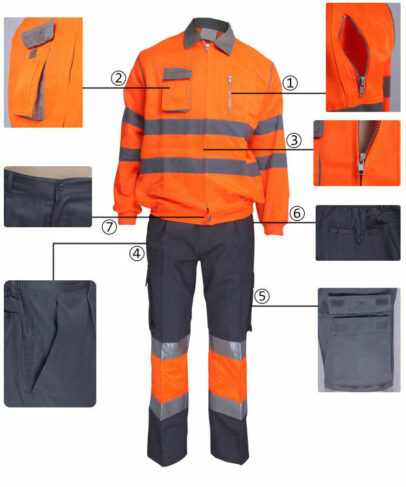 The fluorescent orange two piece coveralls can provide the wearer good protection in dark condition, especially for policeman work in night, railway workers, offshore and miner. 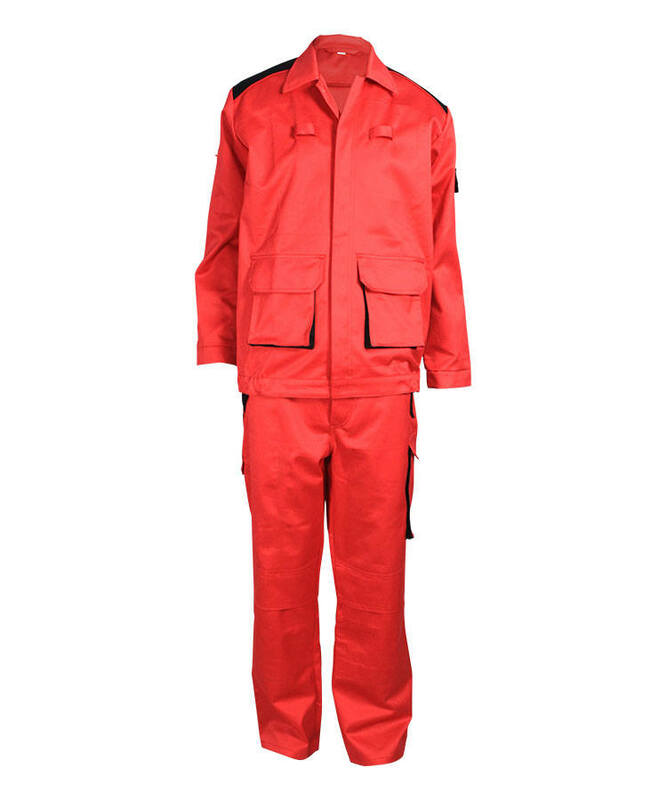 Left chest patch pocket closure with zipper makes the wearer goods more safety. Right chest two-in-one contrast- accordion pocket with flap(left a pen loop), closure with Velcro. The contrast-accordion pocket is more beautiful and fashion, the pen loop can provide better service for users. Front closure with 5# hidden zipper. Two slant pockets on each side, sewing outer side seam with surface line to make it stronger. Two accordion pockets with flap on the side seam of the fluorescent orange pants, closure with Velcro, which enlarges the space to store goods and articles. Board bag on the wearer right rear hip, closure with button nose and four eyes button, well-groomed and the pocket not inside-out. Waistband closure with four holes button, the back waist is elastic, which can adjust the size of waist, increase wearer population and make the garment more comfortable and suitable. 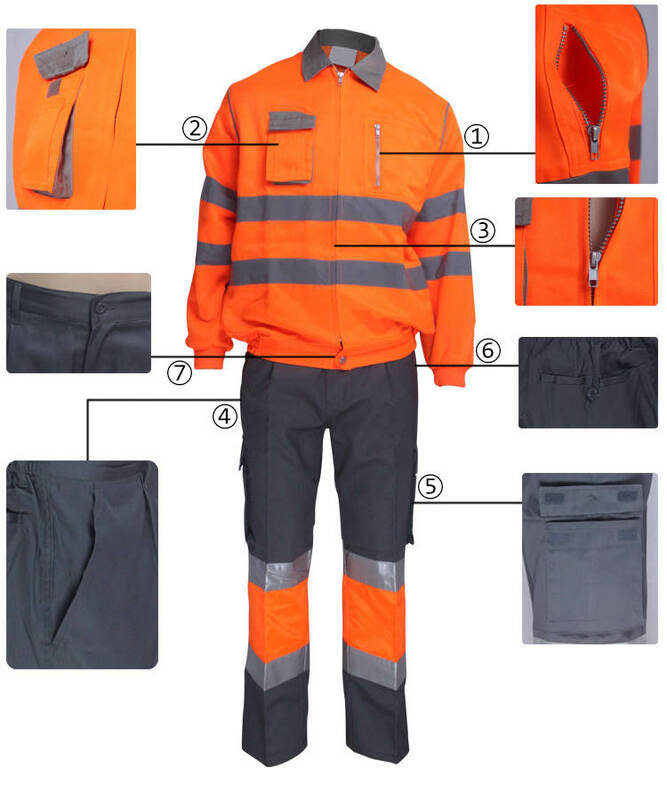 5cm width FR reflective tape on the front, back jacket and the sleeves, to makes the wearer more security and eye-catching when working in dark environment. Reflective teeth on the armhole and the side seam, which is more fashion and security. 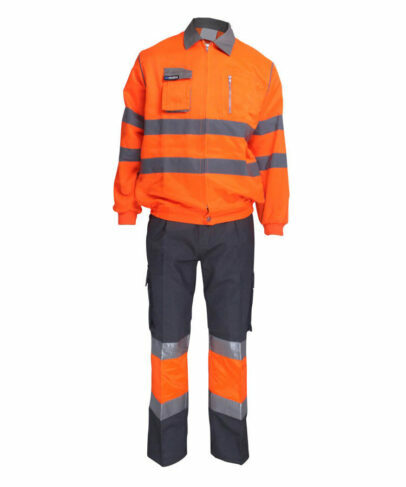 Adding orange color knitted rib fabric on the sleeve opening is more convenient and comfortable. 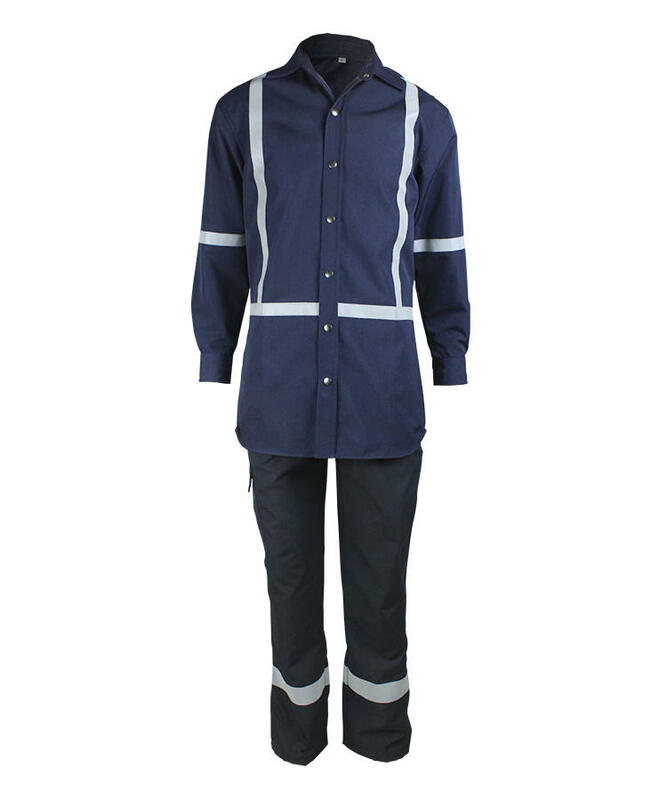 The hem fabric is body fabric, both sides of the lower hem are elastic, which can adjust the size of lower hem, the left hem is placket rooftop, closure with jeans button. Stitching the contrast color fabric pieces of pants together, 5cm width reflective tape in each seam crossing, beautiful and fashionable. Sewing two active pleats on the front piece of pants, which can makes the fluorescent orange pants more suitable and comfortable. The front rise and back rise fixed with surface line, crotch fixed with bar tacks, increased the strength of the crotch and front rise and back rise. 5 loops on the waist, bar tacks fastening.